Sweet Cheeks Adventures: Let's Learn Kindness on DVD! 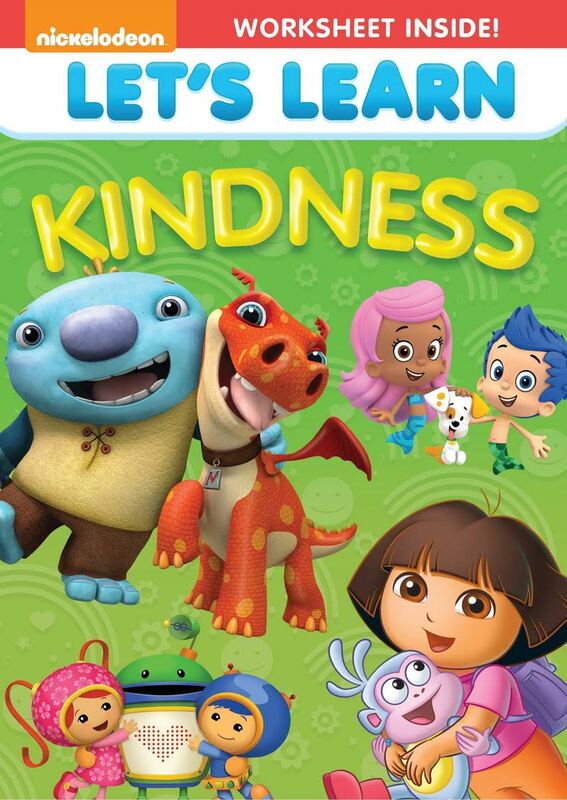 Let's Learn Kindness on DVD! This great DVD is available for purchase today! That's very sweet of you to read through this post when I know you really want to get up and grab this gem for your Little! So, keep reading and enter the Giveaway!! The collection of episodes you can find on the Let's Learn Kindness DVD by Nickelodeon is a really great tool. Not only am I able to do a little housework when I pop this disk in for Cooper, but he is learning that we need to treat everyone with kindness. Let me give you a little more background into this kid's every day activities. Often Cooper will walk up to our dog Lilly and pull her tail or her fur and make her yelp. That isn't very kind. Also as he is a three year old, we work on saying "Please and Thank You" in our every day exchange. Dora's "Por Favor!" episode is another way for him to see everyone says "Please and Thank you." While Allyson is 6 years old now and already knows most of her manners, this collection is a great reminder for her. Bubble Guppies "The Glitter Games" is her favorite episode on here. Between the songs and lessons being learned, I think I agree with her! Right along with Dora the Explorer and Bubble Guppies, you can find Wally Kazam, Team Umizoomi, Blue's Clues and Ni Hao Kai-Lan on this disk. They each will help teach your Little kindness and manners! Dates: Starts July 21, 2015 10:00 am EST. Winner will be chosen August 4, 2015 11:59 pm EST. The biggest way that we teach kindness is when my older kids come home with stories from bullies or people picking on them. We teach them how to respond to kids they might think are mean with kindness. With my younger it's about not hitting when you're angry and using manners.